Pointless discussion of the day: how should we classify 2018’s Bumblebee? An extension of the Transformers cinematic universe that launched in 2007, does Bumblebee offer a prequel, a spinoff, or a reboot? I’d probably vote “all of the above”, though I admit “reboot” seems like a stretch, as I see no reason to believe the series’ producers hope to start from scratch. Bumblebee clearly shows strong signs of prequel and spin-off, though. Set back in 1987, the Autobots retreat during a battle with the enemy Decepticons. Autobot leader Optimus Prime (voiced by Peter Cullen) sends B-127 (Dylan O'Brien) as an advance scout to Earth, a location the Transformers hope to use to regroup. However, B-127 crash-lands and finds himself beset by foes both terrestrial and Decepticon. These leave him severely damaged and unable to speak, so he takes refuge in the form of a Volkswagen Beetle. Newly 18-year-old Charleen 'Charlie' Watson (Hailee Steinfeld) finds herself at a crossroads and seems unsure of what to do with her life. She boasts good auto repair skills, though, and when she finds the car into which B-127 transformed, she tries to fix it. Eventually Charlie discovers B-127’s secrets. Renamed “Bumblebee”, she and the mute Transformer bond and deal with threats from the Decepticons and the US forces. Though I largely dismissed the view of Bumblebee as a series reboot, the notion remained in my head because of the franchise’s decline in fortunes. 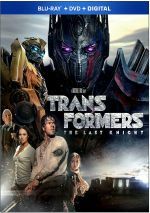 Whereas each of the first three films made between $319 million and $402 million in the US, 2014’s Age of Extinction stumbled to $245 million, and then 2017’s Last Knight plummeted to a relatively woeful $130 million. Internationally, the franchise fared better, and Age of Extinction actually became the second-biggest Transformers flick when we accounted for worldwide sales. Last Knight didn’t do great in that domain, though, as its $605 million made it the weakest of the bunch. That’s still a lot of money, but since Last Knight barely earned half of Age of Extinction’s grosses, the studio must have felt concerned. When in doubt – start over! Again, Bumblebee doesn’t represent a clear reboot, as it really hews closer to the spinoff/prequel side of the street, but I won’t be surprised to see future Transformers efforts follow its lead. Maybe. 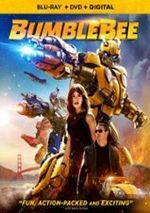 Despite obvious hopes that Bumblebee would reinvigorate the franchise, it didn’t soar at the box office. It took in a limp $127 million US and $459 million worldwide. Because it cost less than the last few Transformers flicks, it turned a profit, but not much of one. Bumblebee did beat the rest of the franchise in one domain, however: critical acclaim. Of the five prior films, only one – the 2007 original – cracked 50 percent on Rotten Tomatoes. The other four ranged from 35 percent to a woeful 15 percent, and three of the five remained mired in the teens. On the other hand, Bumblebee earned a remarkable 93 percent on Rotten Tomatoes. I didn’t think anything attached to Transformers could ever rate above 60 percent, but Bumblebee garnered raves. I wish I could figure out why. As much as I wanted to love Bumblebee, I found it to become a fairly mediocre tale that wore too many inspirations on its sleeve to impress. Maybe that’s part of the reason the critics liked it so much. 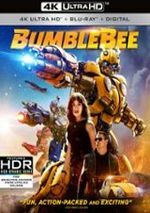 With its 1980s setting and obvious influences from era flicks like ET the Extraterrestrial, Bumblebee plays into the wheelhouse of all the critics weaned on that period of films – and I suspect that encompasses a lot of them. Heck, it includes me, as I spent my teens in the 1980s. I loved a lot of the movies that Bumblebee echoes, so it should’ve been right up my alley. Something about Bumblebee just fails to click, though. At no point do I think it teeters toward the “bad movie” realm, but it lacks the real charm and excitement it needs. In terms of story, Bumblebee bears a decided resemblance to the 2007 Transformers. 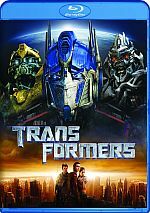 Both feature teenaged protagonists who bond with Bumblebee and become part of the battle against the Decepticons. The two films differ mainly in terms of scope and tone. Whereas Transformers opted for many more robotic characters and bigger battles, Bumblebee keeps things fairly small-scale – well, small-scale for this kind of film. After the prologue, we don’t see fights that include more than a handful of Transformers, so these feel a little more personal than the enormo-tussles of the prior films. In addition, director Travis Knight gives Bumblebee a very different tone than what Michael Bay provided for Transformers. Whereas Bay tended toward flashy visuals and wacky comedy, Knight keeps things more grounded and natural – again, as grounded and natural as a movie about battling alien robots can be. I suspect this served as one of the reasons critics embraced Bumblebee: it lacked the usual glib Bay feel. I genuinely think movie writers want to enjoy the Transformers series, but Bay’s style over substance filmmaking choices make it tough. Without Bay in charge, Bumblebee can find a greater level of humanity. Actually, Bay always attempted emotion in his Transformers films, but he couldn’t pull off these choices, so the movies came packed full of cheap sentiment. Knight manages to create a more genuine sense of emotion. He doesn’t invent any wheels, and he leans toward the Spielberg side of the street, so don’t expect subtlety, but at least Knight gives us a movie that doesn’t feel as contrived and phony as Bay’s. Bumblebee also benefits from a lead actor who can pull off the sentiment without mawkishness. Steinfeld creates a likable teen who feels reasonably natural, and she manages to connect with Bumblebee in a believable manner. With this variety of positives on display, why does Bumblebee leave me semi-cold? Mainly because it never really manages to form its own identity. As I alluded earlier, Bumblebee clearly embraces its 80s influences, and it can come across like ET as directed by John Hughes. There’s a lack of real creativity on display. In addition, the story feels vaguely coherent at best. Major plot domains go missing for long periods of time, and the whole thing never quite connects in the most logical way. None of these factors make Bumblebee a bad movie, and as noted, it works better than any of the prior Transformers flicks. I just think it lacks the life and spark it needs to become better than average. Bumblebee appears in an aspect ratio of approximately 1.85:1 on this Blu-ray Disc. Expect a terrific visual presentation here. Sharpness always appeared positive. This meant I thought the image seemed accurate and well-defined. I noticed no signs of shimmering or jaggies, and the movie lacked any print flaws or edge haloes. Like the Transformers flicks, Bumblebee favored stylized colors and leaned toward orange and teal. These didn’t elevate to the crazy levels of the prior movies, at least, and they came across well within the movie’s design choices. I felt just as pleased with the movie’s impressive Dolby Atmos soundtrack. A movie packed with mayhem and action, the mix used all the channels in a lively, involving manner. Downconverted to Dolby TrueHD 7.1, vehicles, weapon-fire, robots and similar elements popped up from all around the room. That meant the mix delivered a smooth, engrossing soundscape. In addition, we got nearly constant material from the surrounds. The back speakers delivered a high level of information and created a great sense of place in that domain. All of this melded together in a vivid, satisfying manner. Effects became the most prominent component, of course, and packed a solid punch, with positive clarity and range. People invest major bucks in home theaters for flicks like this, and Bumblebee delivered the goods. As we move to extras, we find two components under Sector 7 Archive: “Welcome to Sector 7” (0:50) and “The Battle at Half Dome” (9:19). “Welcome” brings an in-character live-action intro from John Cena, whereas “Battle” gives us a “motion comic”. It tells a story related to the movie. It proves moderately entertaining but too silly to be very good. Note that a paper version of “Battle” also appears in this package. Nine Deleted/Extended Scenes fill a total of 19 minutes, five seconds. An “Alternate Opening” shows Bumblebee on Earth and skeptical of humans, and others show of Charlie’s day-to-day life. Others expand the Decepticon characters and various relationships. These prove better than usual, as some offer decent material. Five Outtakes span a total of nine minutes, 32 seconds. These show more comedic versions of existing scenes, most of which feature Cena. It’s unclear why the crew shot these, as there’s no way anyone ever thought they’d make the final cut. Whatever their purpose, they’re pretty darned funny, as Cena makes the most of his ample comedic talents. With Bee Vision, we find a three-minute, 56-second reel that gives us a closer look at various Transformers. It shows them in the movie and then heads to brief cutaways with additional data. It’s decent but would work better as a basic gallery presentation. Finally, Bringing Bumblebee to the Big Screen breaks into five featurettes. We see “The Story of Bumblebee” (3:54), “The Stars Align” (7:04), “Bumblebee Goes Back to G1” (10:02), “Back to the Beetle” (6:20) and “California Cruisin’ Down Memory Lane” (19:57). Across these, we hear from director Travis Knight, executive producers Mark Vahradian and Brian Goldner, Hasbro President of Design and Development Brian Chapman, ILM animation supervisor Scott Benza, producer Lorenzo di Bonaventura, writer Christina Hodson, visual effects supervisor Jason Smith, Hasbro Senior Design Manager John Warden, digital artist supervisors James R. Tooley, Alison Farmer, Kelvin Lau and Anthony Rispoli, lead digital artist Gerald Blaise, digital compositing supervisor Jeff Sutherland, Hasbro President of Entertainment Brands Samantha Lomow, production designer Sean Haworth, production car mechanic Trevor Mann, art directors Richard Bloom and A. Todd Holland, property master Guillaume Delouche, costume designer Dayna Pink, supervising location manager JJ Hook, 1st AD Brian F. Relyea, hair department head Kevin Trahan, makeup department head Tina Roesler Kerwin, stunt coordinator Mike Gunther, and actors Hailee Steinfeld, John Cena, Ricardo Hoyos, Jorge Lendeborg Jr., and Jason Druckner. We get info about story and characters, cast and performances, design choices and effects, vehicles and the depiction of Bumblebee, sets and locations, costumes and period elements. Some useful information arises across these clips, but they generally feel more than slightly superficial, so don’t expect much depth or detail. As an extension of the Transformers universe, Bumblebee fares better than its predecessors. That said, the movie doesn’t dazzle, as it feels too derivative to become anything memorable. The Blu-ray brings excellent picture and audio along with a decent smattering of supplements. Though moderately entertaining, Bumblebee never becomes better than average.